Shop for ceramics and hand brooches at reduced prices at the Charlotte Mcleish Sample Sale. 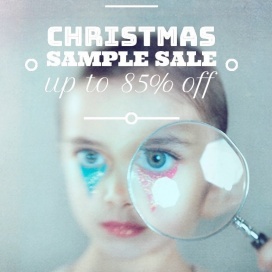 Take up to 85% discount on kids' apparel at the Rasberry Plum Sample Sale. Shop for women's apparel at reduced prices at the Simone Rocha Sample Sale. 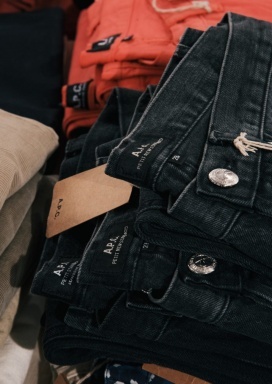 Take up to 80% discount on men and women's apparel and accessories at the Crew Clothing Warehouse Sale. Take up to 80% discount on women's apparel and accessories at the Karen Millen Warehouse Sale. Take up to 75% discount on women's footwear at the Lucy Choi Sample Sale. 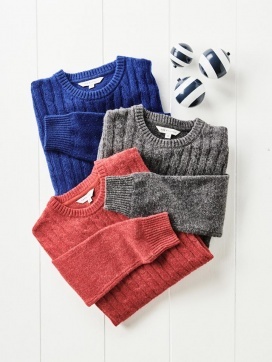 Find great deals on scarves, cushions, and throws at the Wallace Sewell Sample Sale. 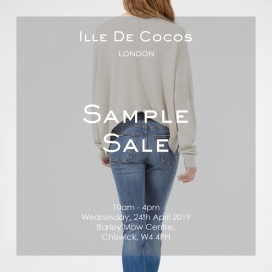 The Sale will be comprised of seconds and sample items. Items are available for $20. 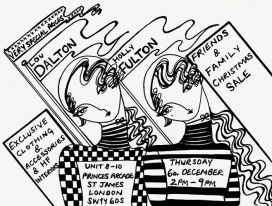 Exclusive Christmas Sample Sale offering Lou Dalton Menswear and accessories alongside Holly Fulton Womenswear and accessories and also interiors pieces. All pieces offered at very special prices, discounts up to 90% off. 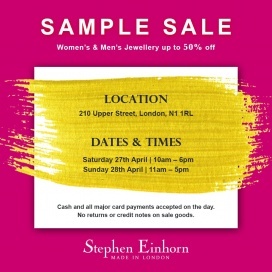 Chiltern Street Studio will be hostign a Sample Sale featuring women's apparel from Jumper 1234 at reduced prices. 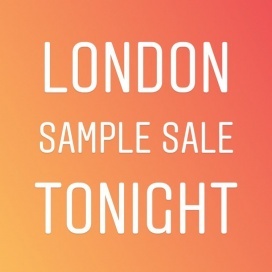 Shop for women's apparel and accessories at reduced prices at the London Designer Sample Sale. Brands included are LU MEI, Jamie Huang, Min Wu, Tommy Zhong, and Minki.